Diversification is the only process that directly changes the number of species on Earth. To study diversification, we analyze branching patterns in large molecular phylogenies and link them to climate, geography, and species interactions to understand how species originate and vanish over millions of years. The processes that form ecological communities remain highly contentious. 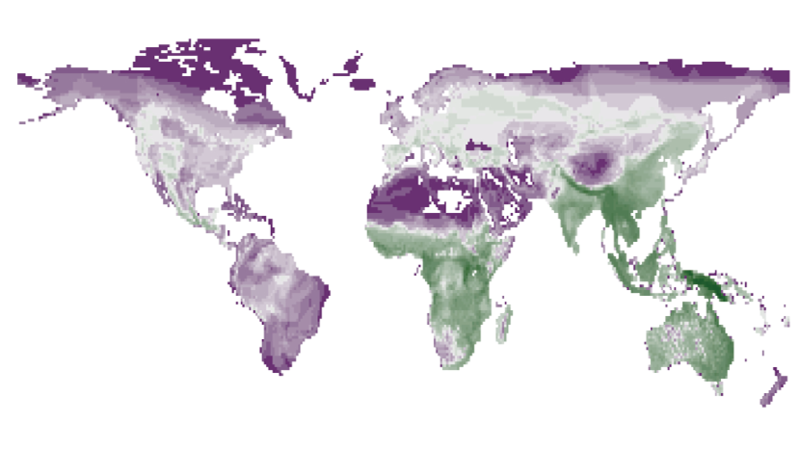 We use geographic distributions, phylogenies, functional traits, field observations and null models to disentangle the interplay of environmental and biotic factors behind species assembly and coexistence. We work across regions, clades, and scales. Why species are not distributed randomly in space is one of the central questions in ecology. We integrate information from phylogenies, remote sensing and field data to infer how the processes of speciation, extinction, and dispersal interact to produce the striking tropical and montane diversity.